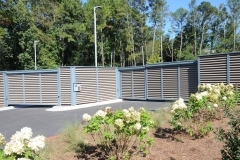 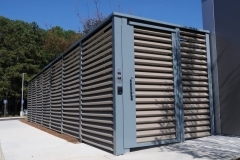 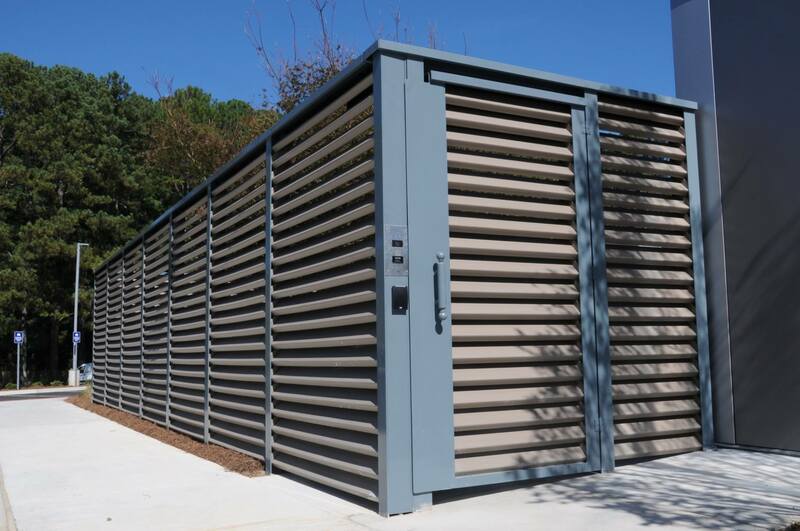 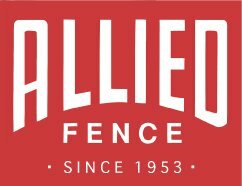 The Atlanta Hawks have a new state-of-the-art practice facility and they asked Allied Fence to design an environmentally-friendly fence to give the players and coaches privacy. 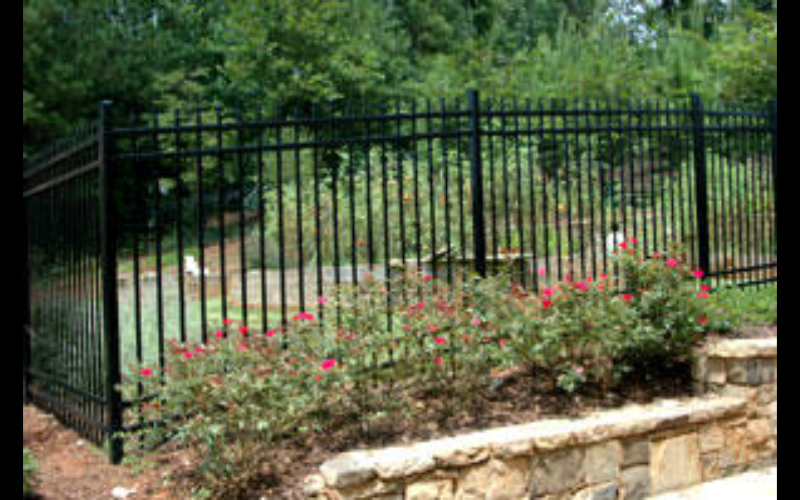 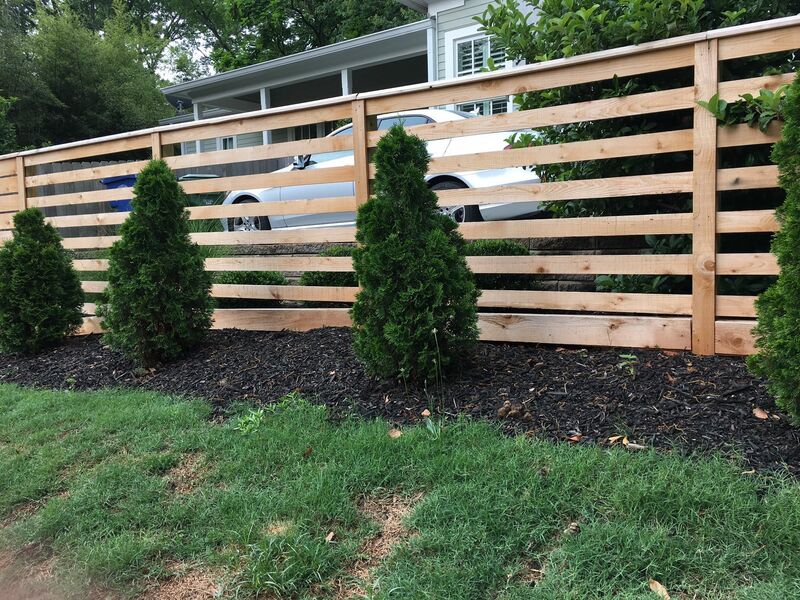 The result was a unique, beautiful maintenance-free fence made with PVC and aluminum. 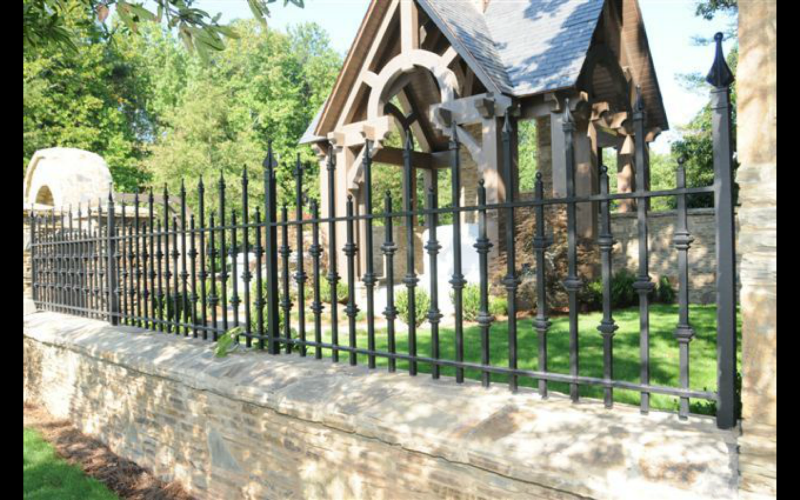 Allied Fence Co. is proud to have been asked to design, fabricate and install an ornamental aluminum fence at the home of one of Atlanta’s most successful and best-known businessmen. 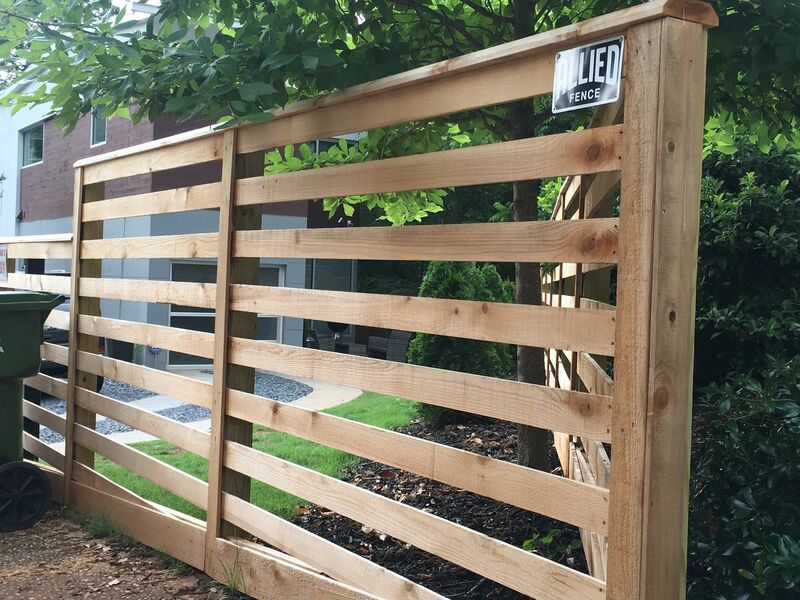 The fence is the first thing that visitors notice as they enter the lush 4+ acre compound. 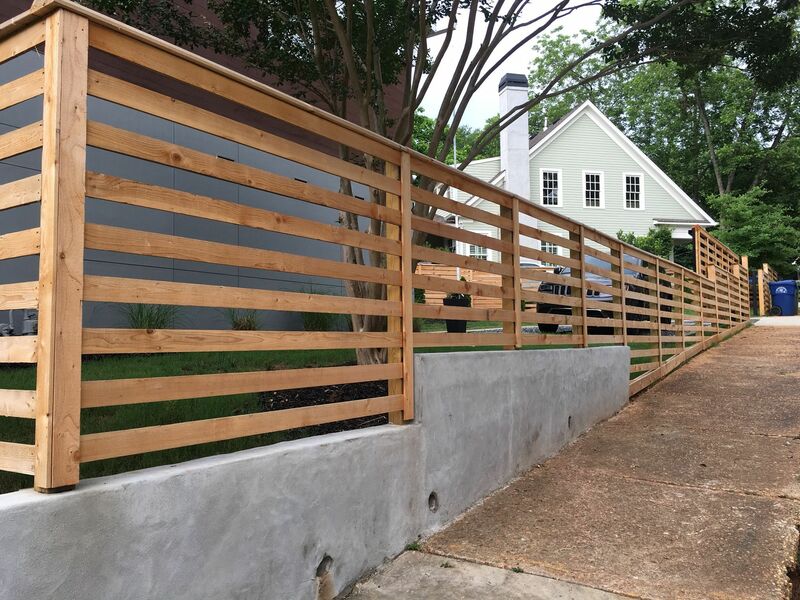 This fabulous new Buckhead home has already hosted several large galas and charity events including fundraisers for The Marcus Institute and the Georgia Aquarium. 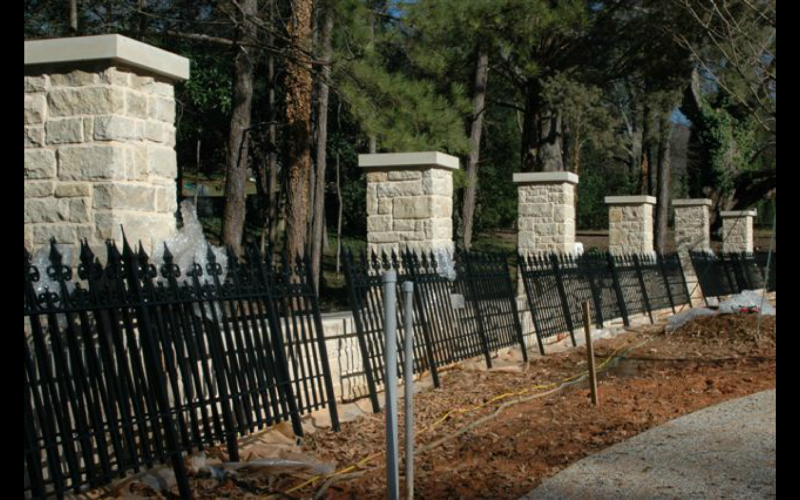 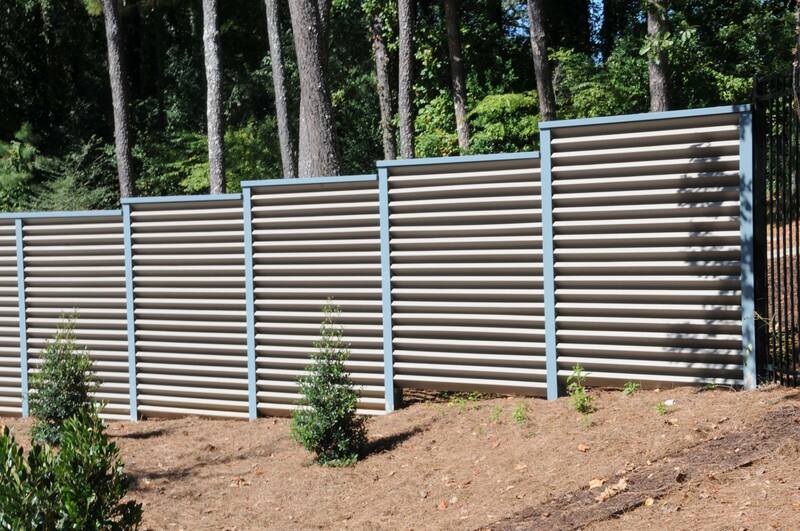 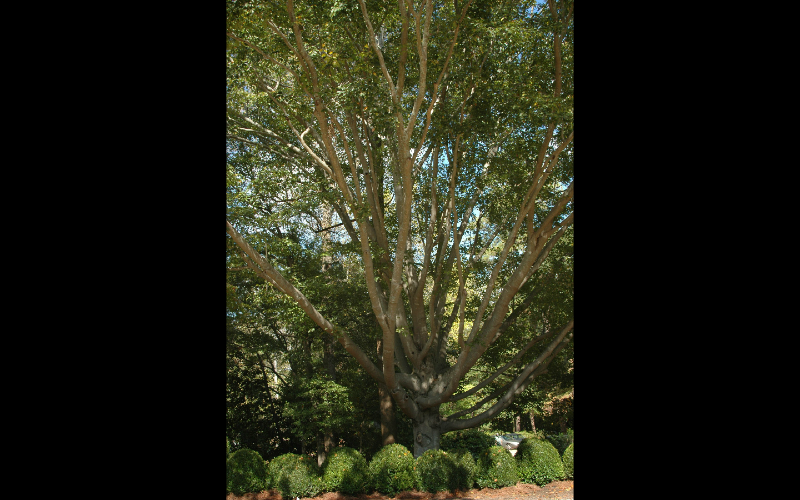 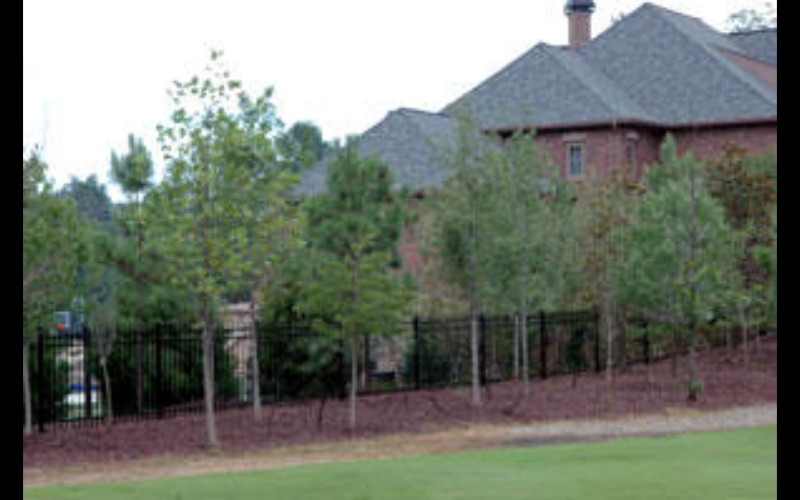 Allied Fence Co. spotlights its recent fence project at the new palatial estate of a renowned business owner in Atlanta. 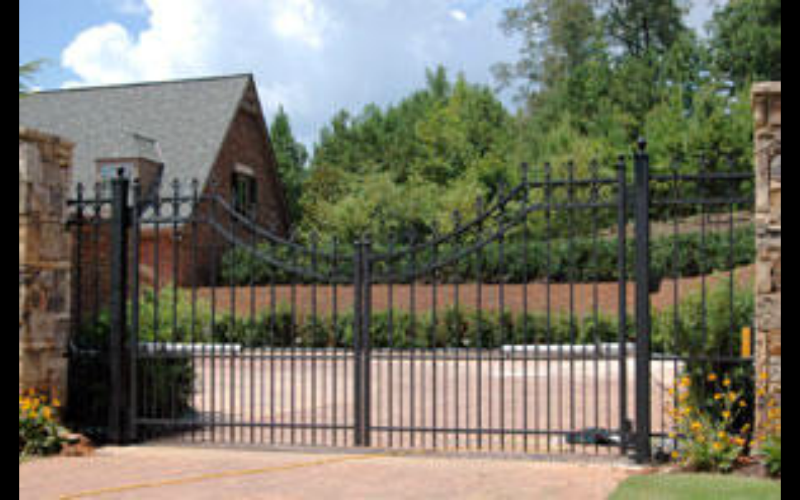 The discerning customer owns one of the largest private businesses in Georgia. 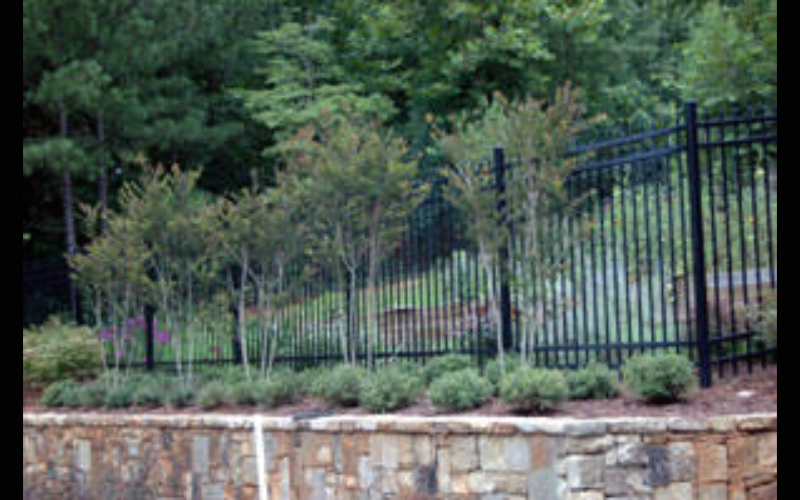 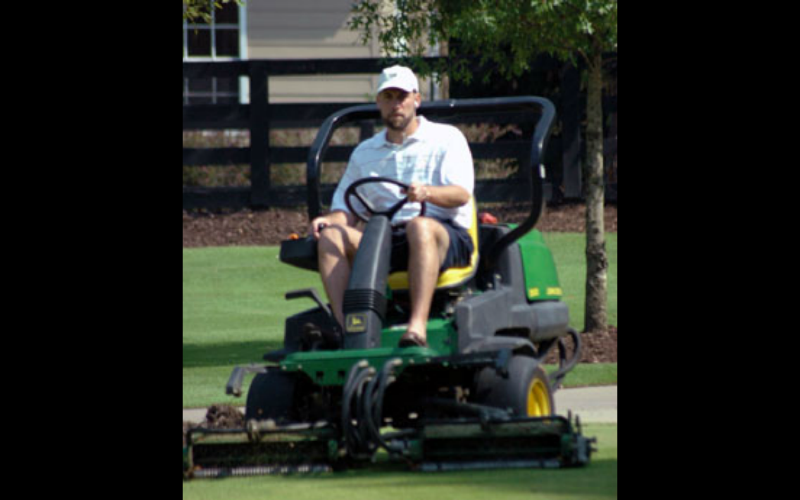 Situated on almost seven acres in the heart of Buckhead, this was a very challenging assignment. 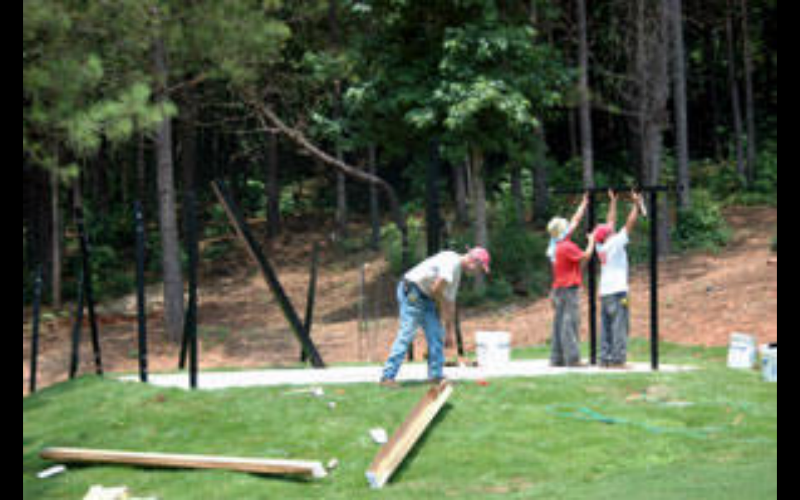 Crews spent three weeks in the woods, climbing hills and crossing creeks. 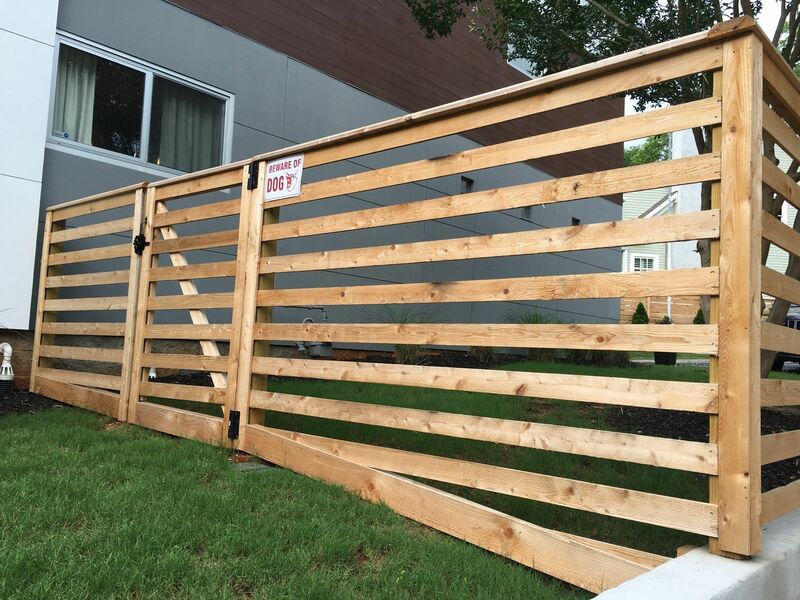 They even encountered a family of deer living in the backyard. 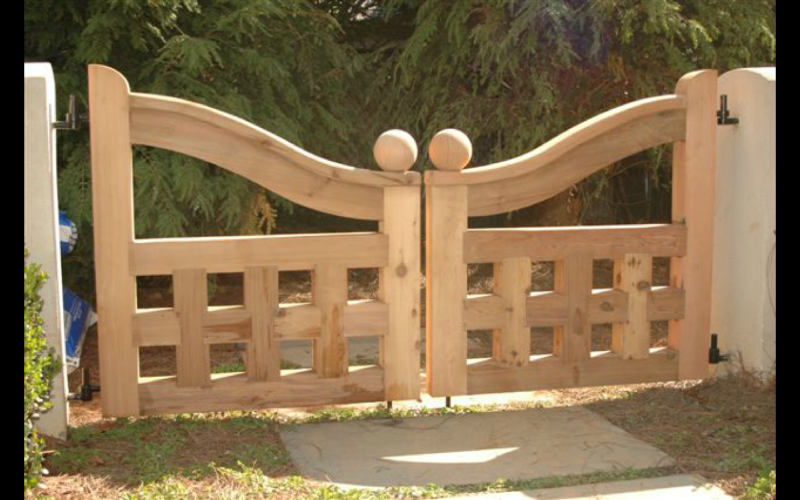 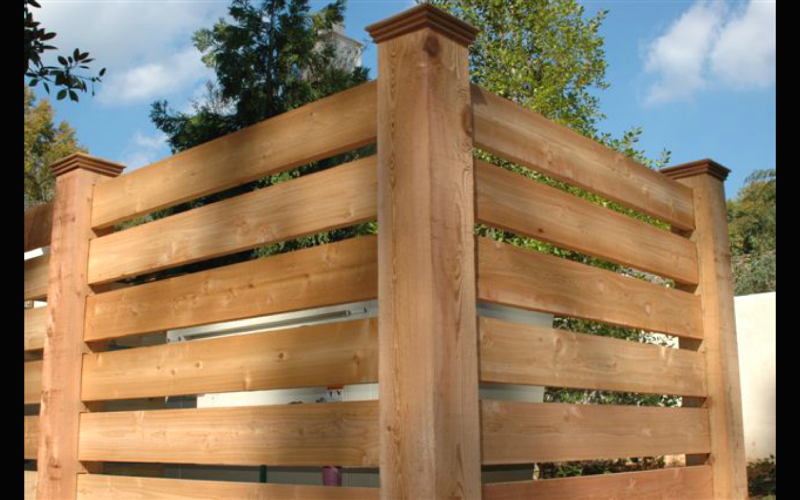 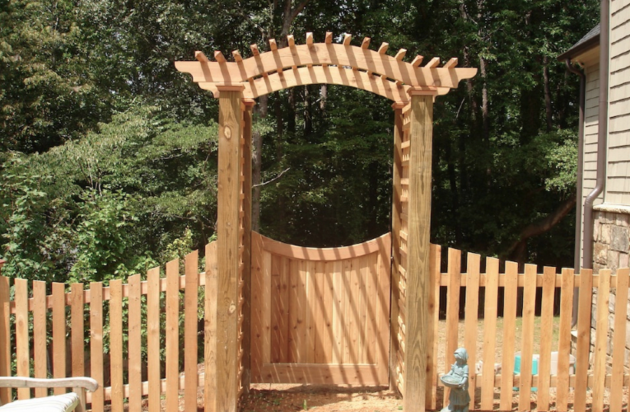 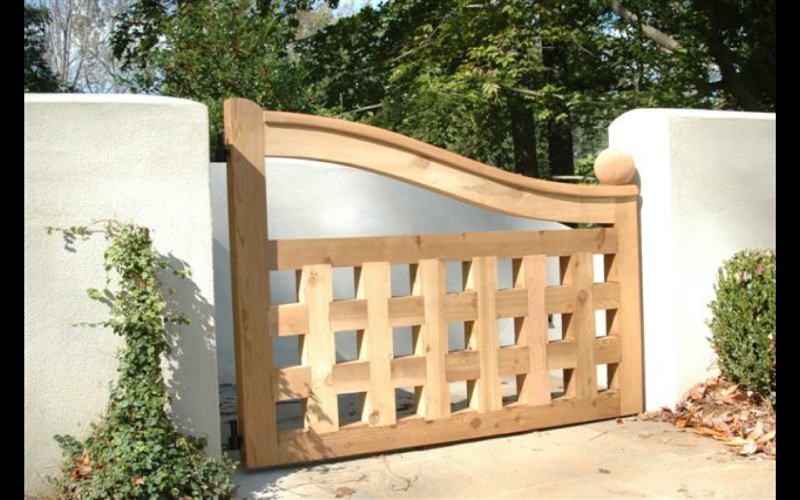 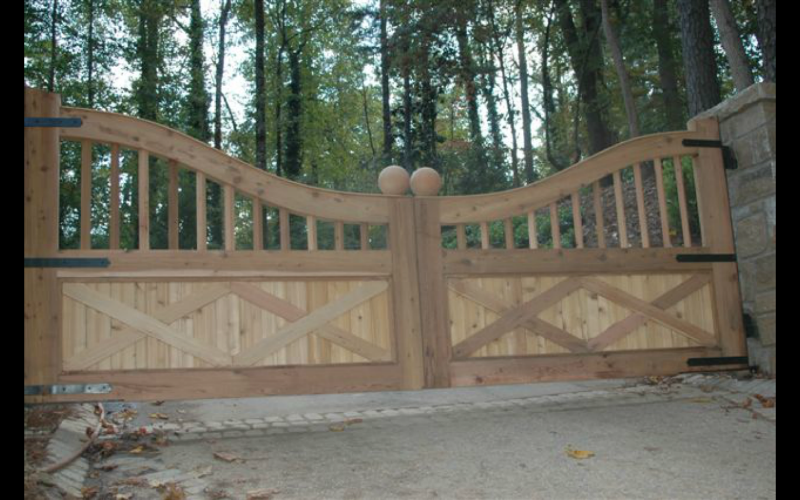 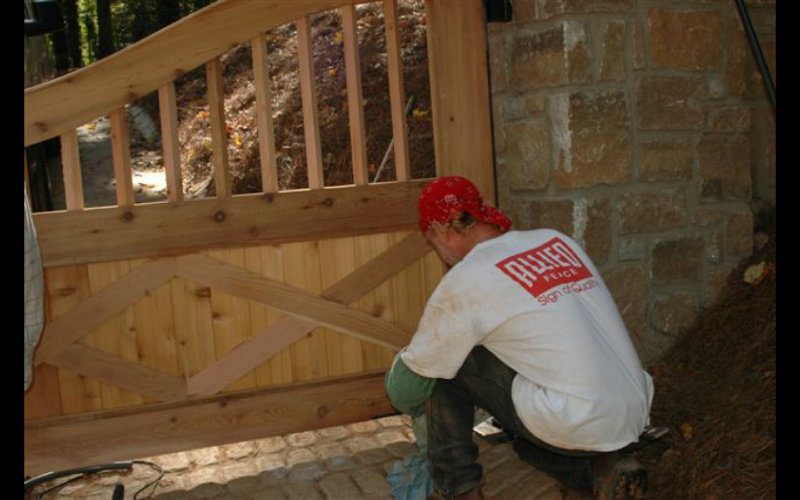 Unique to this project were a number of custom cedar gates including a pair of estate gates that open automatically by motors that are hidden in the ground. 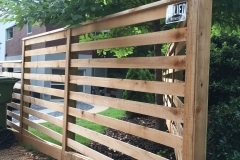 An enormous generator is shielded from view on the walking paths by a custom cedar rail fence using 8 inch posts and 2 by 6 rails. 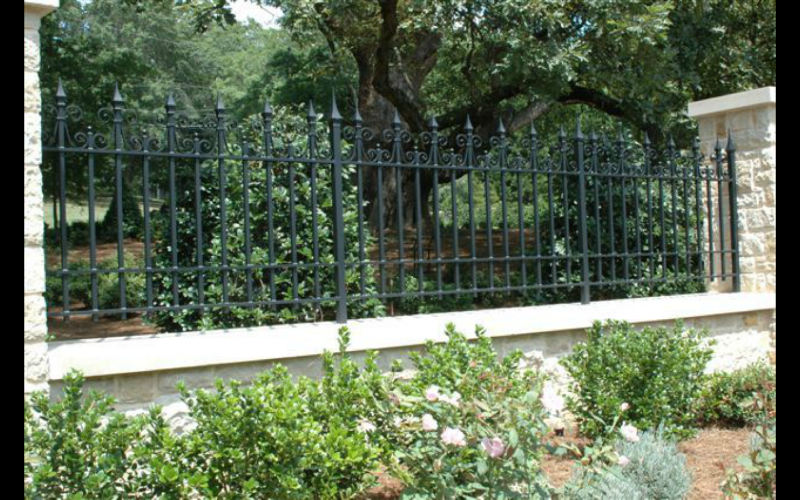 The lush property with magnificent 100-year-old trees is surrounded by over 2,500 feet of black vinyl chain link. 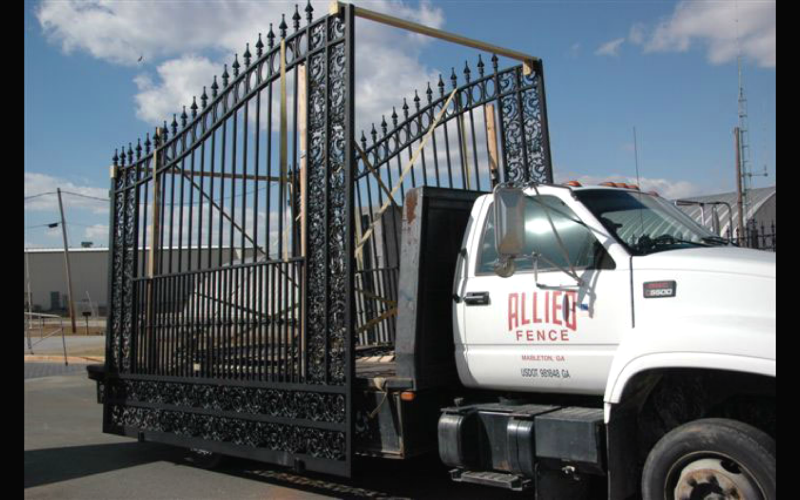 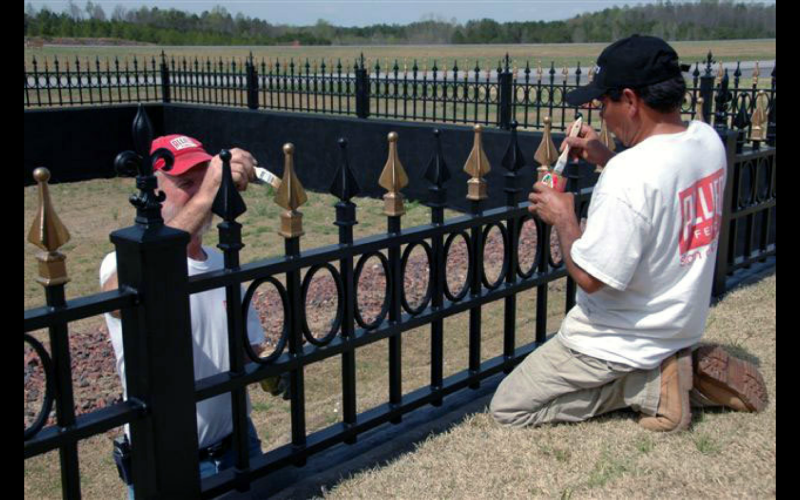 Allied Fence Co. is extremely proud to have been selected for this high-profile, intricate fence installation. 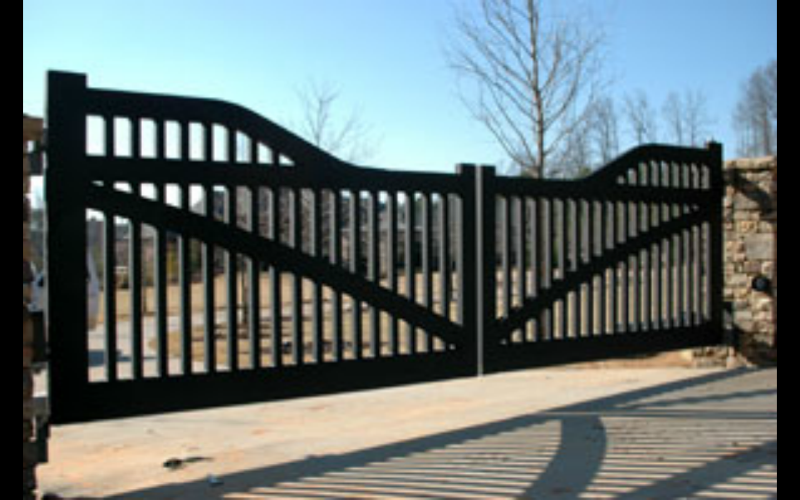 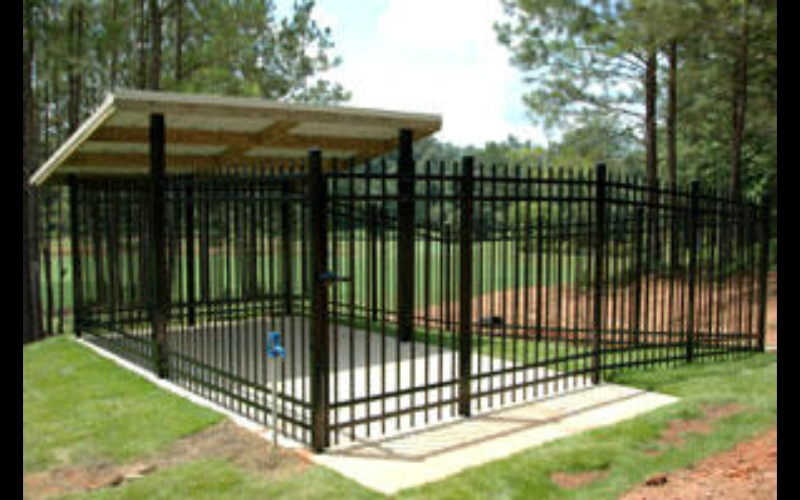 – 5′ and 6′ Aero Avalon aluminum fencing along with 3 pairs of electronic gates. 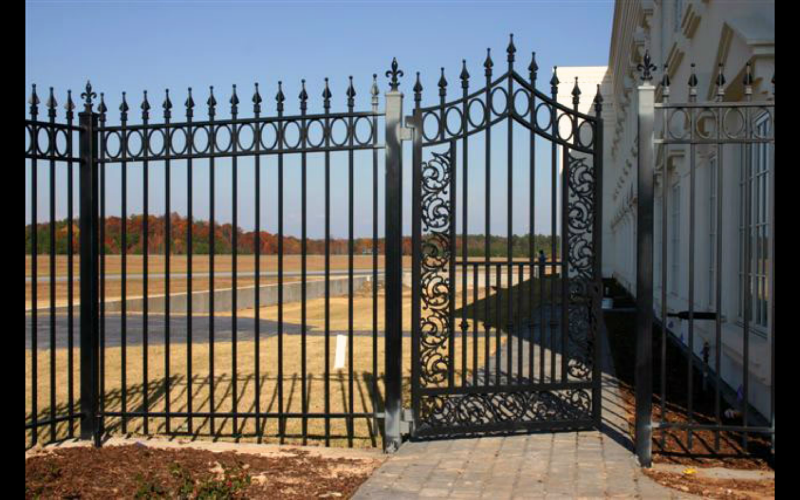 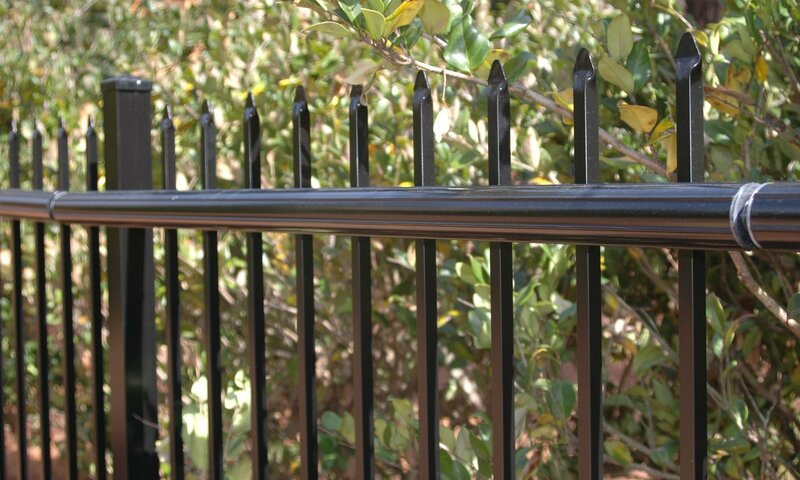 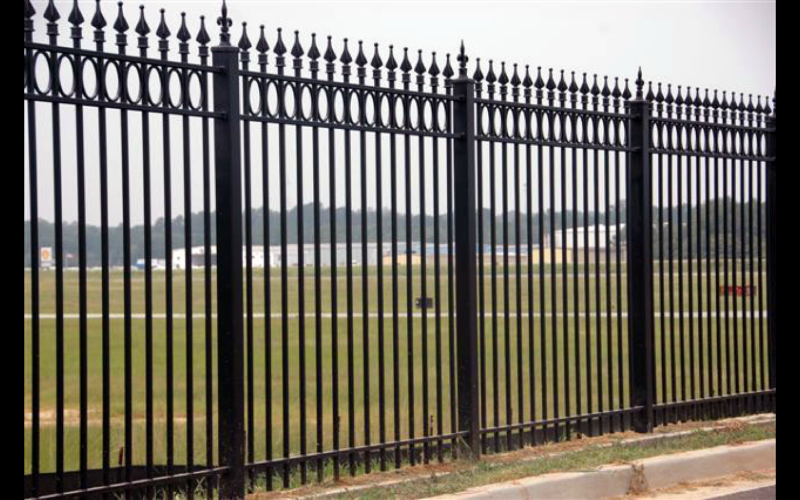 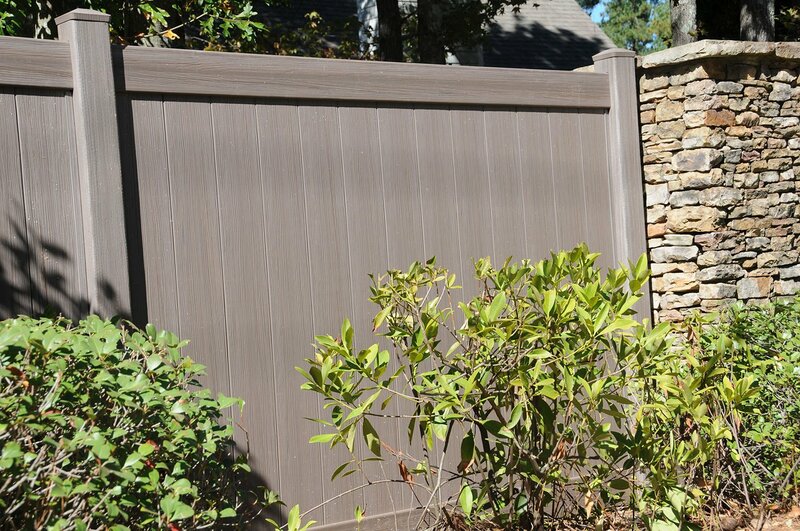 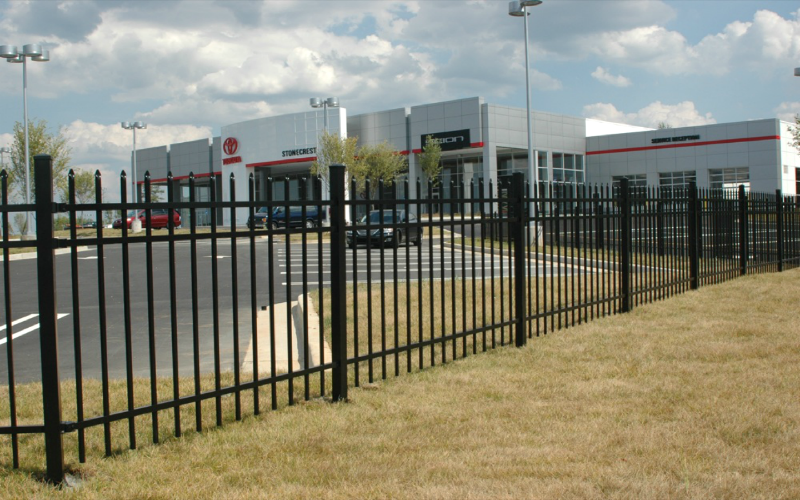 – Aero Avalon ornamental aluminum fencing, a high quality low maintenance choice. 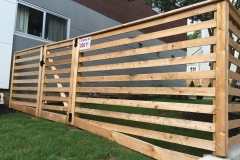 – 6′ Aero Avalon fencing around the garden and dog pen. 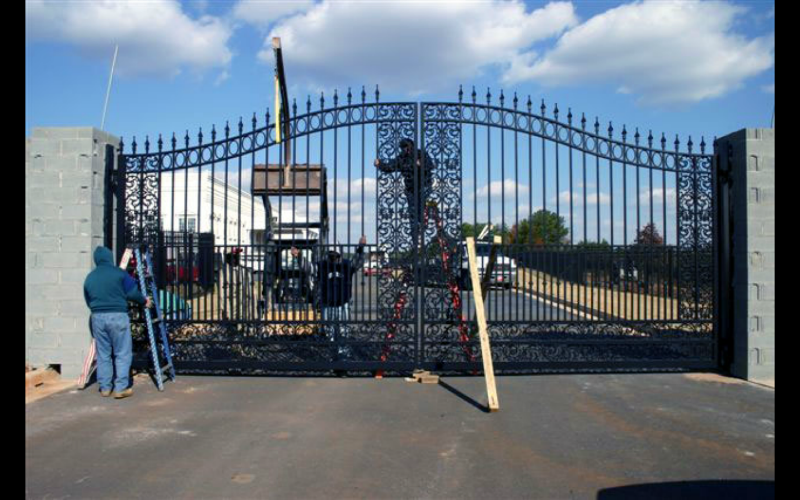 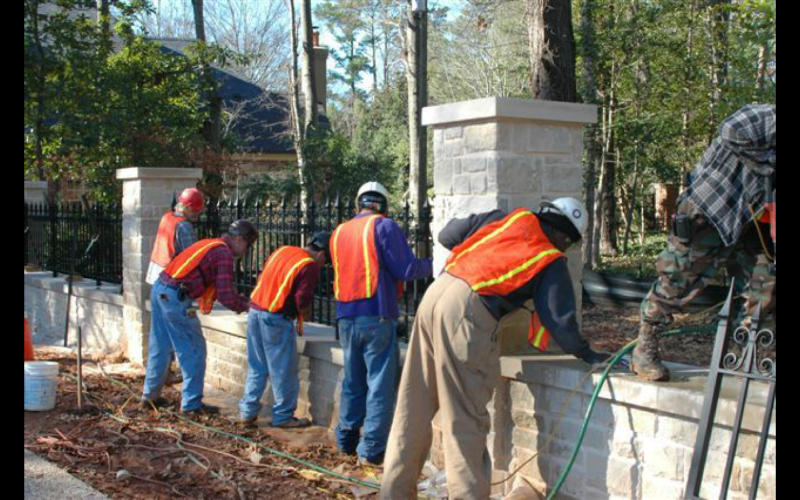 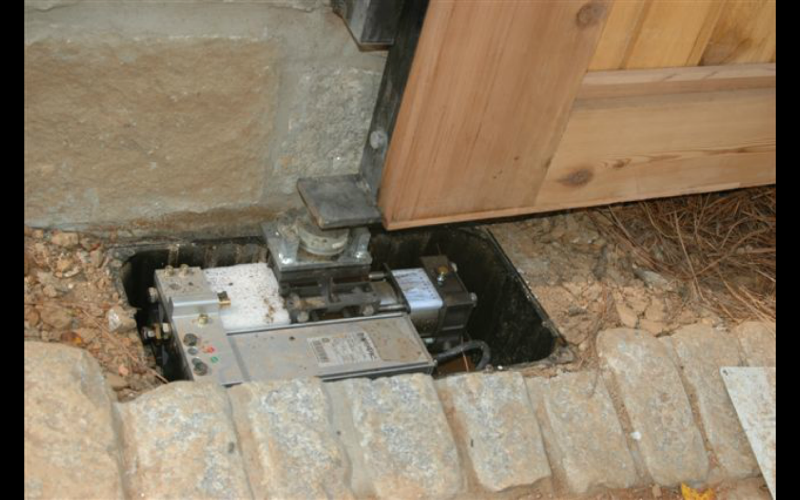 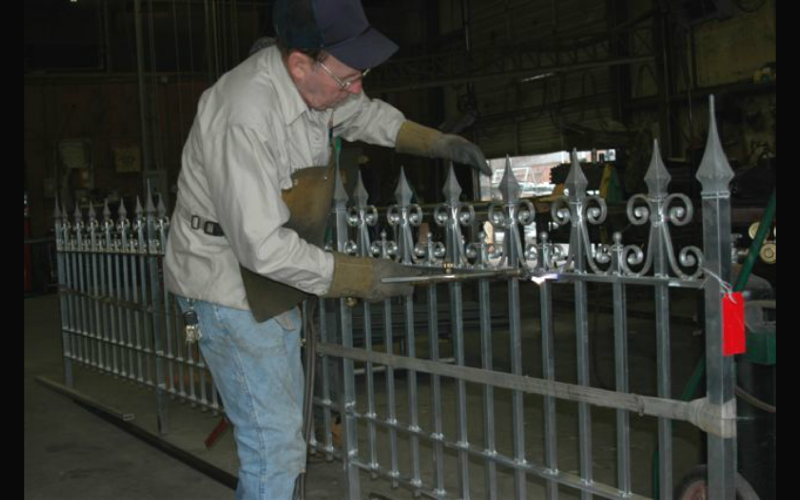 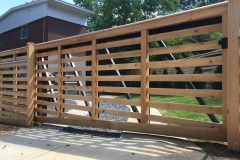 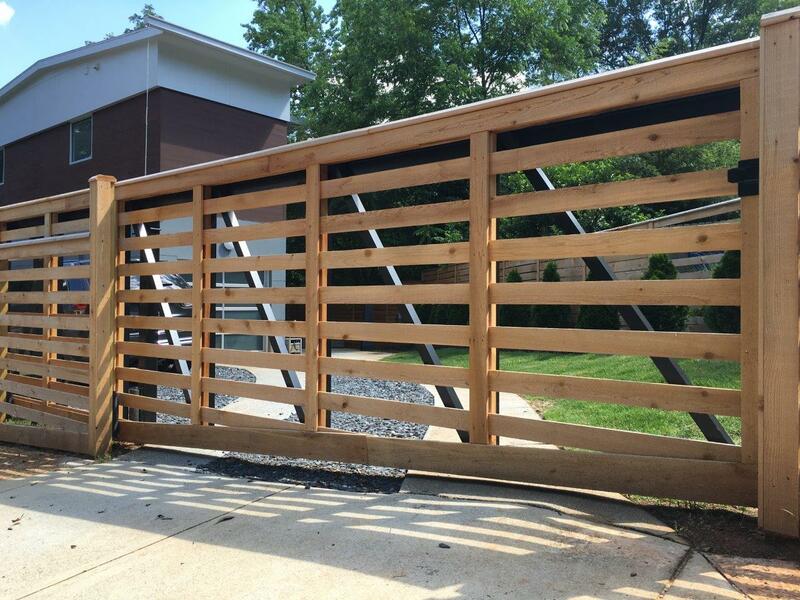 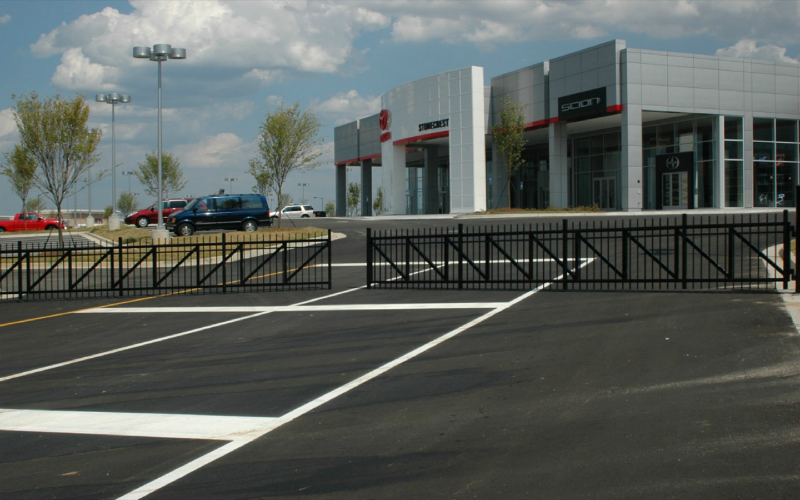 – Custom fabrication at our Cobb location of one of the three electronic gates and skilled installation by an Allied Fence crew. 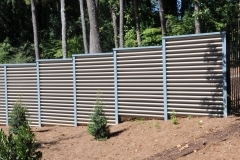 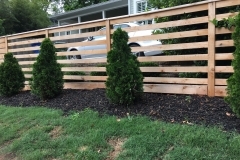 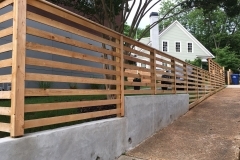 Fence designed by Mary Sauls of Schematics along with Mike Brooks from Allied Fence. 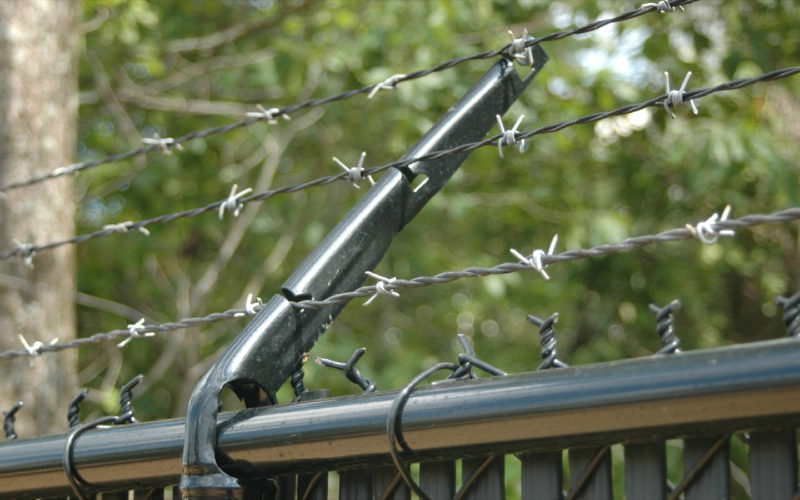 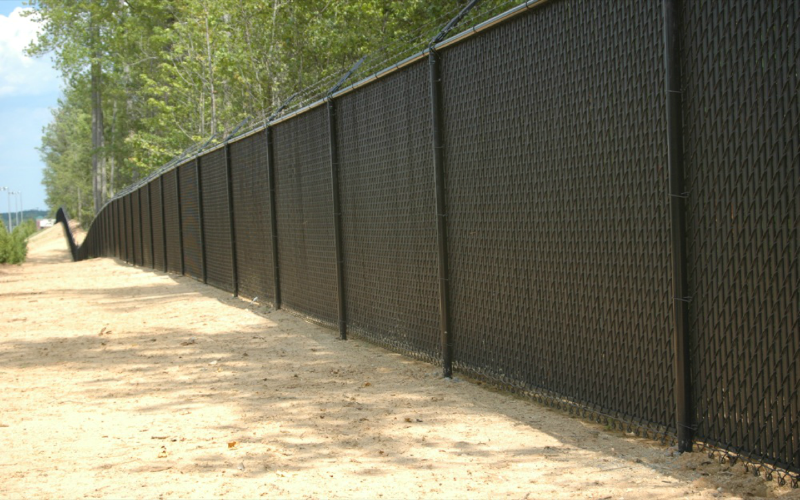 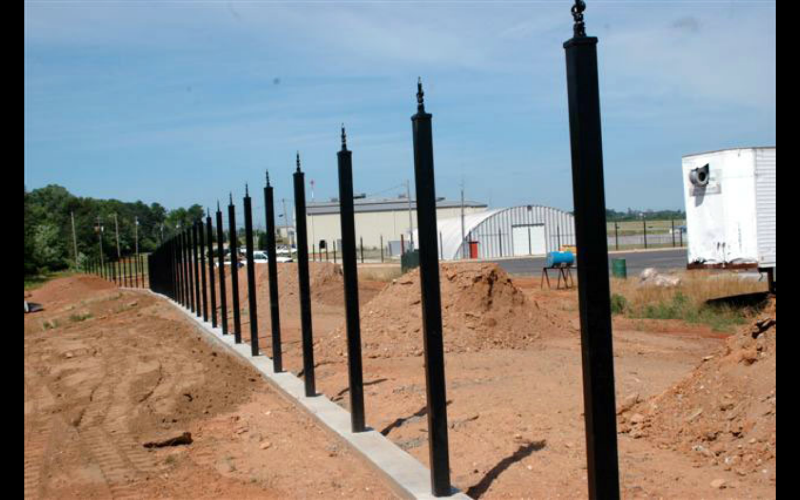 Over 1,400 of 6’ tall black vinyl chain link fence with barb wire and black vinyl PVC privacy slats. 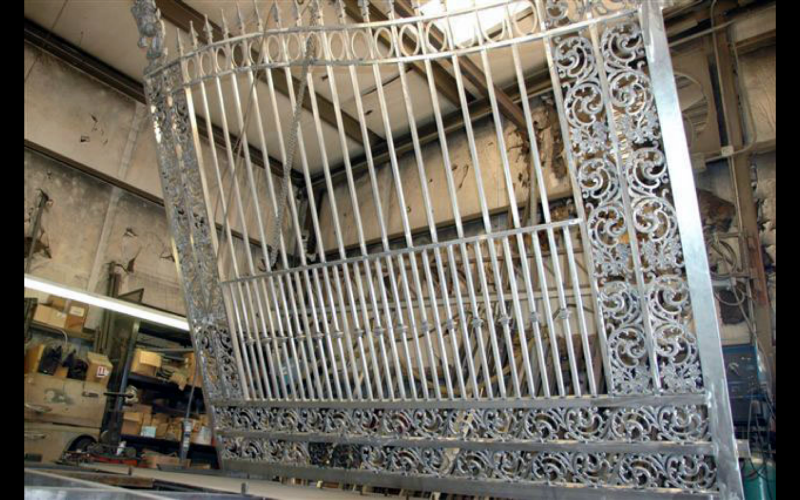 Interior fence for parts mezzanine.